For such a short line (@7.5 miles), the CVLR didn't half like crossing things, I can't help wondering whether they just liked building bridges. There were 29 of them, so almost one every quarter of a mile. Actually that isn't strictly true, three of them were at Culmstock Station and supported the running line and two sidings, although looking at the photos, its pretty difficult to decipher where they actually were. 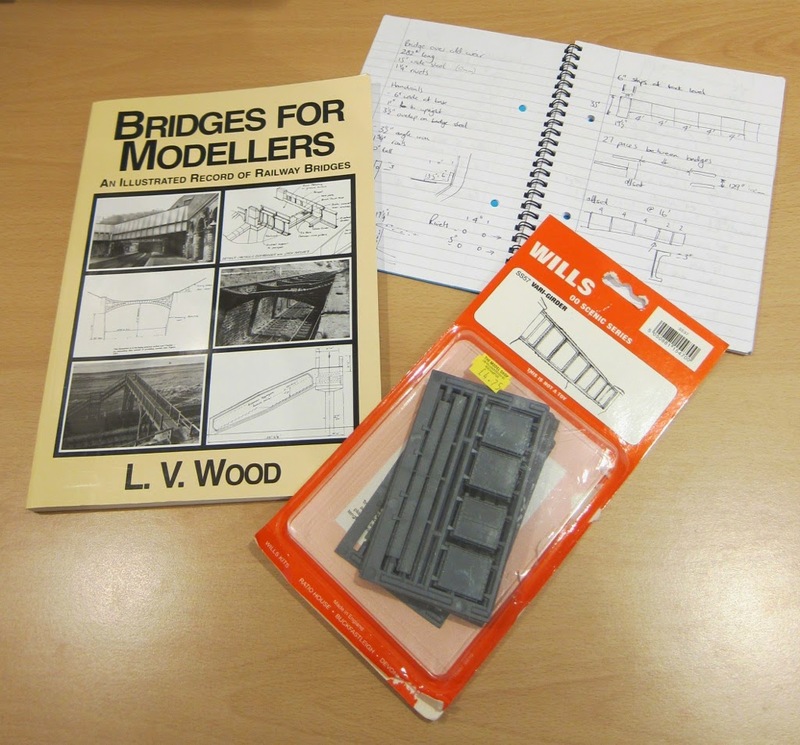 Following advice from Geoff / Llangunllo, I purchased a copy of Bridges for Modellers by LV Wood. I found a secondhand copy of the reprinted book including postage for a shade over £12 on ebay, money well spent. 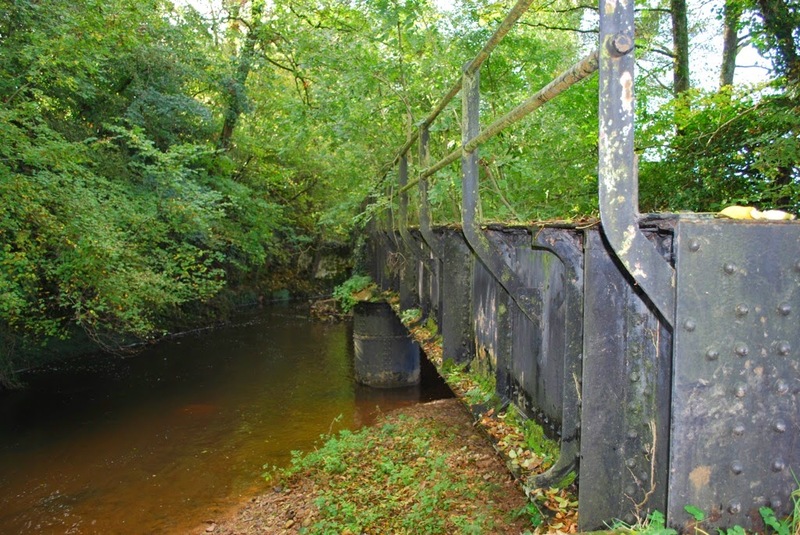 I certainly understand a bit more about bridges and how they interface with the landscape around them, even if I can't find exact copies of what was used on the CVLR. 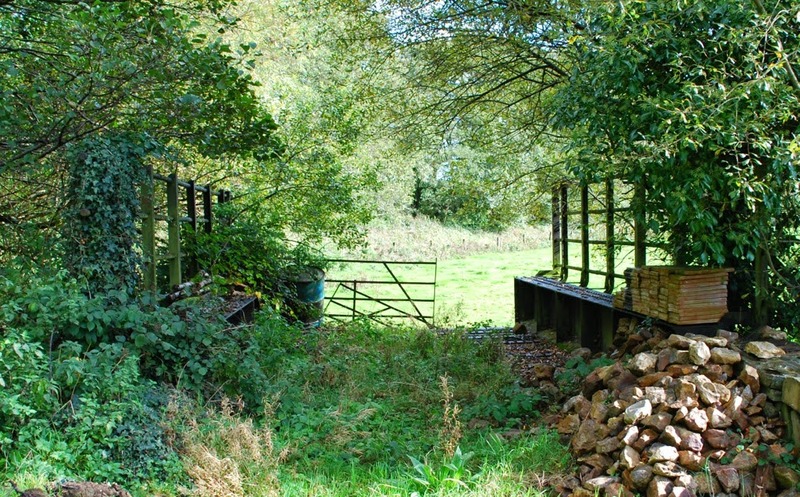 I had been hoping that the Wills Vari-girder was going to provide a nice easy shortcut, but having looked at my notes taken when measuring up the bridges at Whitehall Halt, the Wills product is simply too large. One of the CVLR bridge panels measured up at 43" x 48", whereas the Wills ones are 66" x 72. 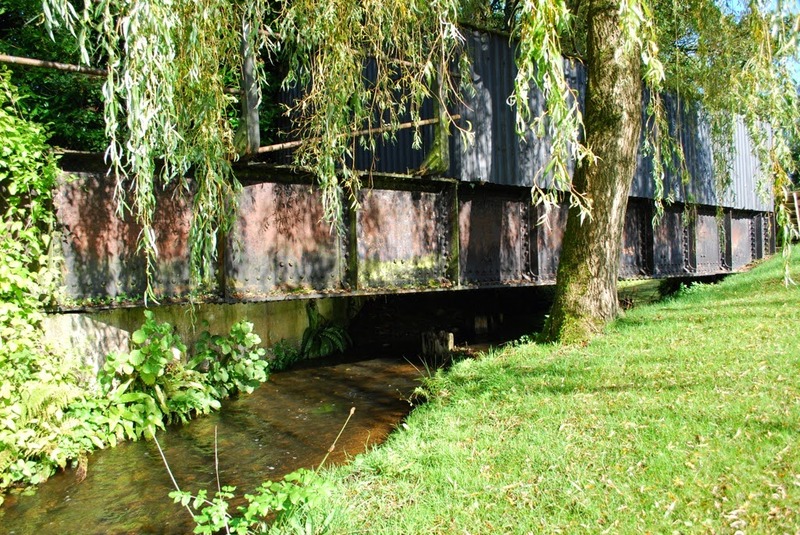 They were not deep bridges, I suppose a function of the axle loading limits applied to the line meant they didn't need to be, but with a scale girder height of 14mm, they are actually going to be quite small and require a thin road bed. Fortunately, the bridges look to have worn a full layer of ballast over the deck giving me some options in material thickness terms. 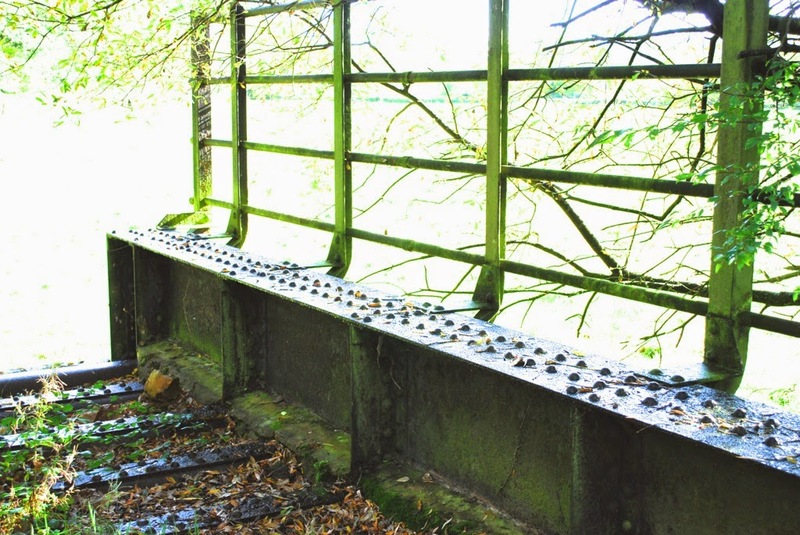 Under the ballast, they had a concrete deck with cast iron plates across the top - you can make them out in these shots of the second bridge at Whitehall. I've had to lighten that second shot considerably to show the details in the shadows, at least I won't have to model all of that! 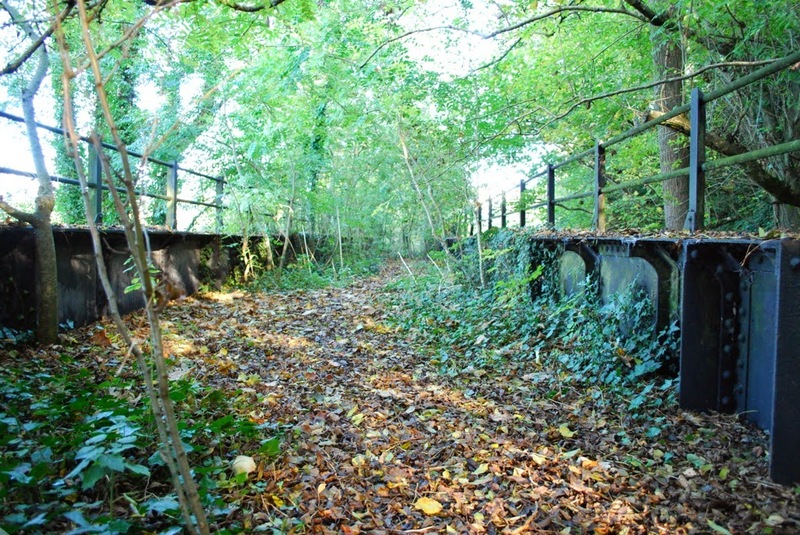 There are some grand bridges out on the line, one more or less every time it crosses the Culm River. I think a trial build of a bridge girder is going to be next up - it'll be something constructive to do between carrying on with that excel sheet.